First terminal start - Windows Terminal Ware. This manual describes next step after selecting terminal boot way. 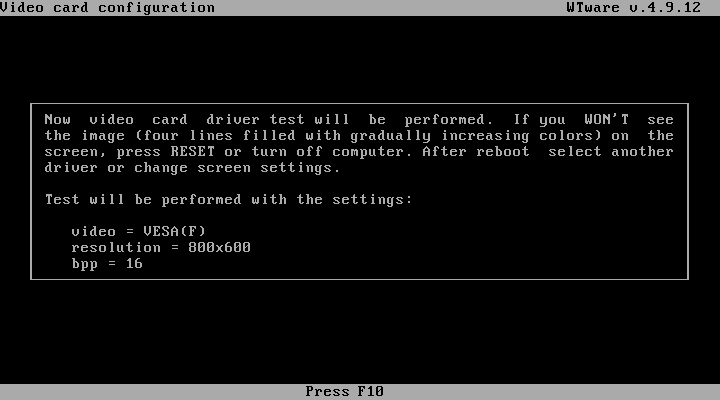 If you've not selected WTware boot way yet and haven't started the terminal read the manual about WTware boot. 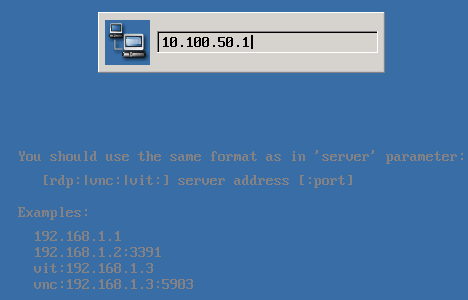 Instead of 192.168.1.1 specify your terminal server IP-address. 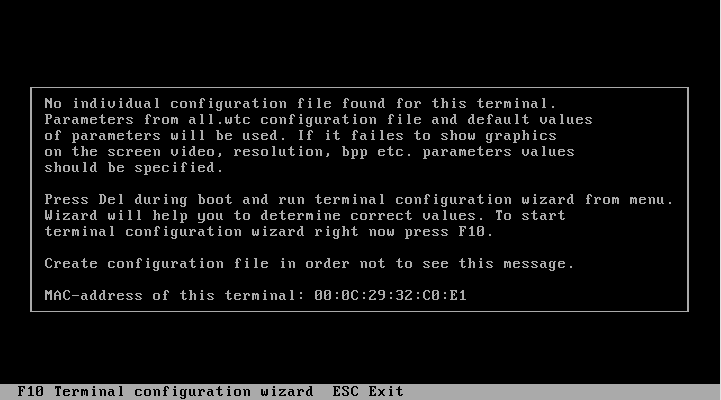 Save configuration file, specify terminal IP-address, Exit menu by Esc and, if you're lucky, terminal will connect to terminal server. 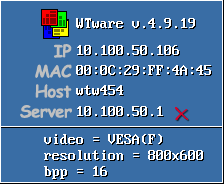 If not and there isn't image on the screen, read video configuration manual. To enter this menu again, restart and press Del at the beginning. Best practice is to store configuration files on server and load them by network. In this case you can edit configuration files using our great graphic configurator. They will backup with all server data. User won't be able to change them. Even for terminals from another city we recommend to use VPN and store configuration files centralized. WTware saves to cache received by network configuration and will start even if VPN channel to central server will crash. Terminals, that boot by network, always download configuration files by network. 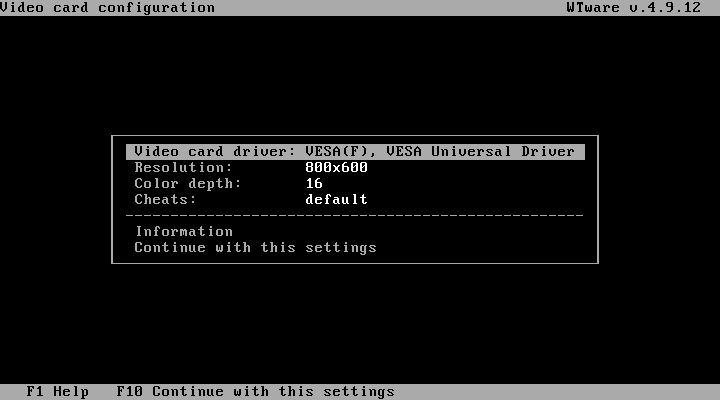 The smaller time - the faster terminal works in this mode with this driver. Configuration file parameters manage terminal disks and printers using, login menu configuration, desktop background etc. Full parameter list and their descriptions are available at the next article.